CLICK HERE To Sign up For FREE Prophetic Newsletter! Thank you for visiting our prayer and prophetic ministry website – we are here to provide e-mail and prophetic Christian phone counseling and online prayer for you, helping guide you through the challenges in life. Our hope is that you realize the Holy fullness of Christ, and allow the love of Jesus to overshadow every area of your life. God bless you! 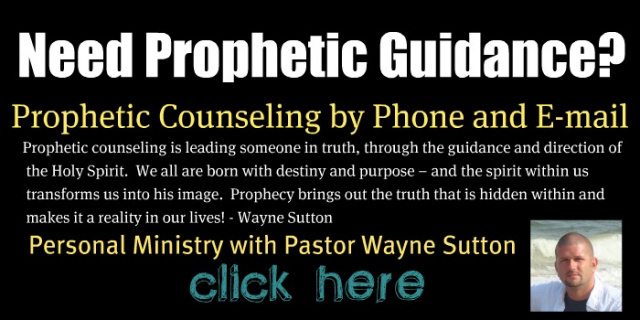 Start your online journey with us by signing up for our Free prophecy newsletter and then click any other links below to see how our ministry can benefit you.